Buy Kendall SharpSafety AutoDrop Phlebotomy - 1 Sharps Disposal Container online! You are buying the Kendall SharpSafety AutoDrop Phlebotomy Container 1 Qt Red Each, Model # 8900SA. ADW Diabetes offers a complete line of syringes made by Kendall. We offer these syringes in single boxes as well as case packs for your convenience. Shop with ADW Diabetes for low pricing and superior service. 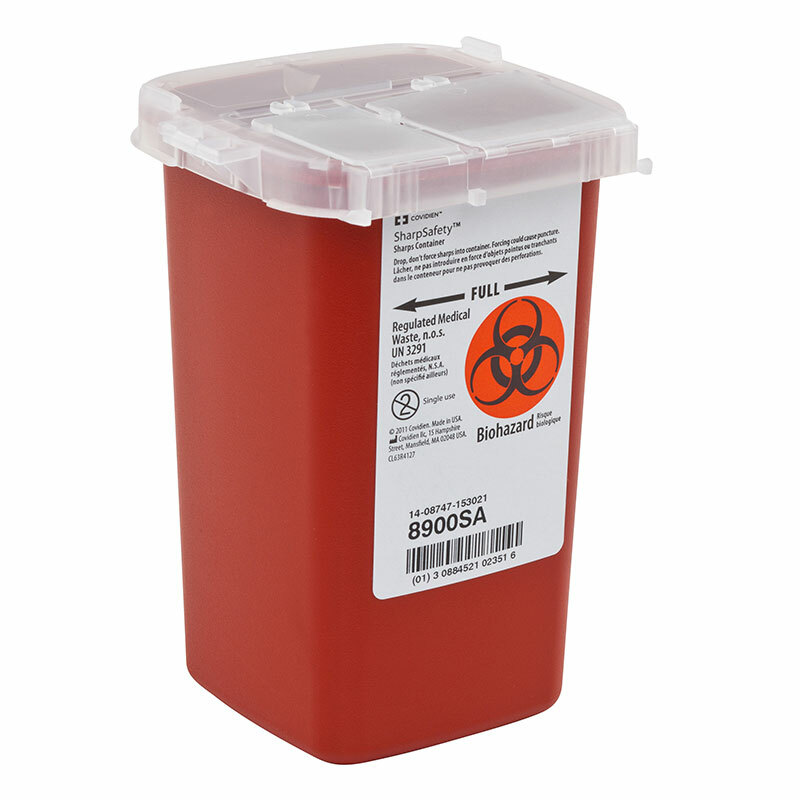 The Kendall SharpSafety AutoDrop Phlebotomy Container 1 Qt Red Each, Model# 8900SA fits into present blood drawing trays for the efficient disposal of blood, hypodermic and I.V. needles. This container facilitates temporary and final closures. It features a clear top to monitor fill levels and a container lock to secure for final disposal. Kendall Phlebotomy Sharps Container is compact in size. Allows for disposal of a variety of sharps such as lancets, butterfly tubing and small syringes. Completely portable, with dual opening lock door. Red with a clear top to monitor fill levels. I needed this mostly because I have dogs and I'm terrified of them getting a lancet in their mouths or something if I put them in the trash normally. I also just wanted to be extra cautious because blood is involved so I bought this. It's small and fits on my desk and I'm able to easily dispose of it after it's full. It locks down well but also isn't too difficult to open. It's such a great price too so I definitely recommend it.